Here we are at B. This could be more about my best blue blasts as well as the big blues names. There have been some remarkable artists that we have seen as well as some great new talents and a wonderful melding of cultures all brought about by music. 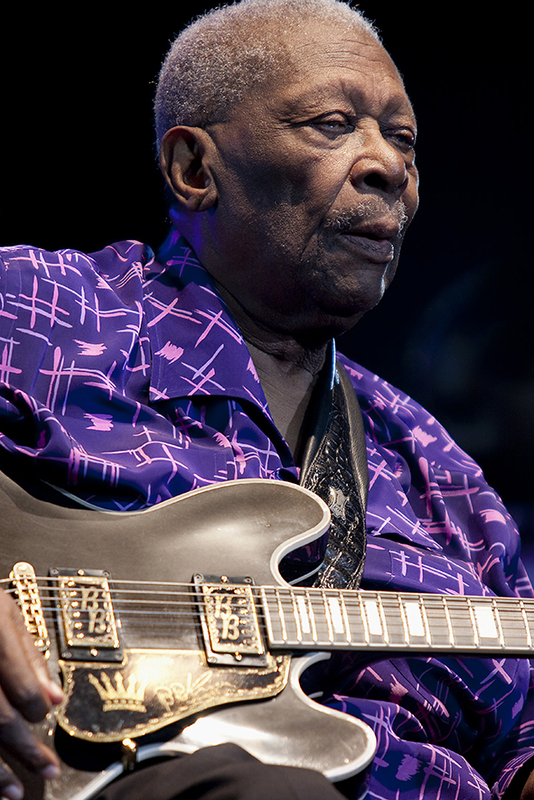 Here are a few who have the initial B in their name, BBKing, Bo Diddley, Buddy Guy, Joe Bonamassa, Beth Hart, to name a few true blues legends. There have been moments of pure bliss – being a few feet from BB King and then to find that this will never happen again. To recall seeing him play at the Kodak Theatre in LA and then in Byron Bay. These are times to pinch yourself and be grateful for the opportunity. Bo Diddley has followed me through my life at different stages. (or maybe I followed him) From the beer soaked floor of the Patch in Coolangatta to seeing his cigar box at Bluesfest, again, another never to be repeated moment. Buddy Guy – meeting him at his club in Chicago and being the only one in the pit with a wide-angle as he came down the stairs into the crowd. Watching him play on a Legendary Blues Cruise and having to sit down due to his great dislike of boats (and or ships) Either way his cheeky performance, gnarly wit and amazing guitar skills still make the hair stand up on the back of your neck. This leads on the new legends Joe Bonamassa and Beth Hart. The soulful, and again cheeky Beth Hart brings tears to your eyes with “I Would Rather Go Blind” while Joe Bonamassa lets everyone know that the blues is a long way from dead. All these and many more have played at Bluesfest and given the fans a taste of the real blues. To me the best Australian Blues Band has to be The Backsliders. Dom Turner has done his time in the Mississippi and interviewed the best. He has played with Phil Wiggins and let his guitar stroke your soul. When he teams up with Rob Hirst and local harp legends (from Jim Conway to Ian Collard) the stage jumps and the audience is in awe of an Australian blues band that can mix it with the best. Bluesfest has a proud tradition of putting some impetus behind up and coming acts. The Buskers Competition has showcased and given a start to some great acts not to mention it hosts a ‘Voice’ style challenge to lead into Bluesfest. Young artists got to play at the Buskers Tent and this has been full of surprises. You never know who will be in the crowd. Kasey Chambers, Bill Chambers or perhaps Passenger will just get up on stage and play. The Busking Competition happens around Byron and ends on the Thursday night at the Beach Hotel. Another experience not to be missed is the festival within a festival ‘The Boomerang Festival’ Here one of Australia’s best creators of cultural festivals – Rhoda Roberts brings her talents to the fore. Last year there was a true sense of understanding and acceptance as the dancers told their stories and taught the crowd the meaning of the symbols and actions. People participated in workshops sitting on the ground making artefacts in the tradition of the people and coming away with a greater appreciation of the culture behind Australia. To see some of Rhoda Roberts other festivals visit Parrtjima Festival or Vivid Sydney and for a really fascinating look at how Byron Bay connects to Alice Springs check out Song Lines. 2018 has the very New Orleans sounds of Benjamin Booker – click for his official clip of Believe. So there you have the B’s beauty, bliss and the ability to unite generations and cultures.